Heating up water is always needed in a kitchen. Cooking meals and making tea requires a good kettle that would boil the water securely and quickly so that no time is wasted when you prepare the breakfast in the morning or strive to finish the lunch recipe, for your family, in time. There are many available such machines on the market. 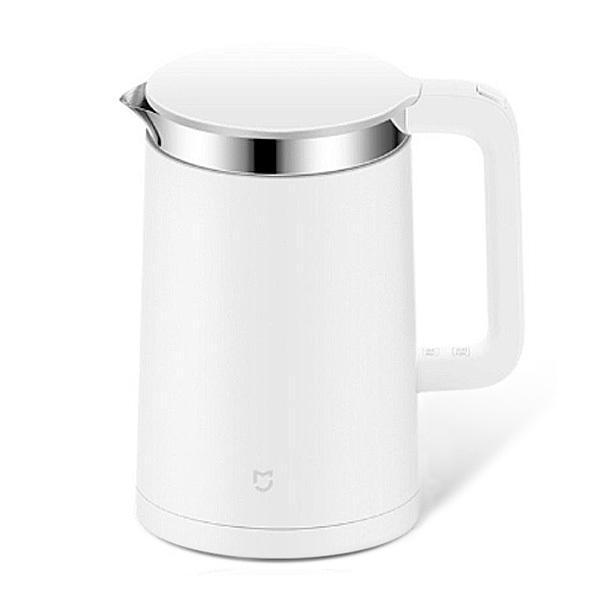 One that stands out from the pack, thanks to its unique features and comfort in use, is Xiaomi Mi 1.5L Electric Water Kettle. This ultra-modern device comes with a wide range of handy features, aimed at a smart temperature control and an enlarged security that help to manage kitchen tasks at ease. Xiaomi Kettle is a cutting-edge brand extension of the Chinese electronics giant, which successfully embed the latest technological progress in household appliances. It weighs 1.24 kg, has a capacity of 1.5 liters, and is powered by 1800 watts, allowing for the water to boil up in 5 minutes. Xiaomi Kettle holds an appealing and convenient design. It is all white and boasts an almost uniform cylindrical shape, with a slight narrowing of the mouth. This fact does not impede it remains wide enough for a safe water filling, which is helped, also, by a flexible lid that opens at 80 degrees. A large handle allows for a steadfast grip when pouring down the hot water. In the lower part, it is fitted with two sensor buttons enabling unique functions of water temperature control. Xiaomi Kettle has a double stainless steel inner layer that preserves well the temperature inside. It is shielded by a plastic layer, which does not conduct heat, and defends from skin burns. 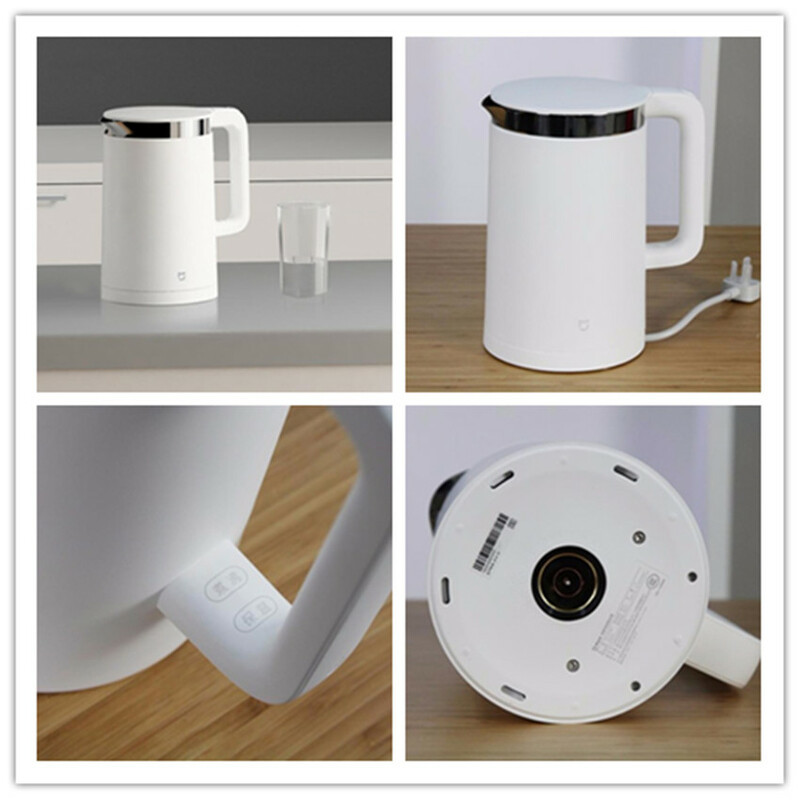 Xiaomi Kettle has a triple security protection that denies electric leakage, prevents electric shock, and enables an automatic power off. The device has an accurate temperature control, given the double stainless steel layer that preserves heat, at a stable level for 12 hours. It allows you not to waste electricity by reboiling the cooled down water over and over. You can choose the needed temperature for baby drinks and for making a tea as hot as you want. For a remote control, you get access to a smart APP and Bluetooth connection to keep stable the temperature, even when you are not inside the house. 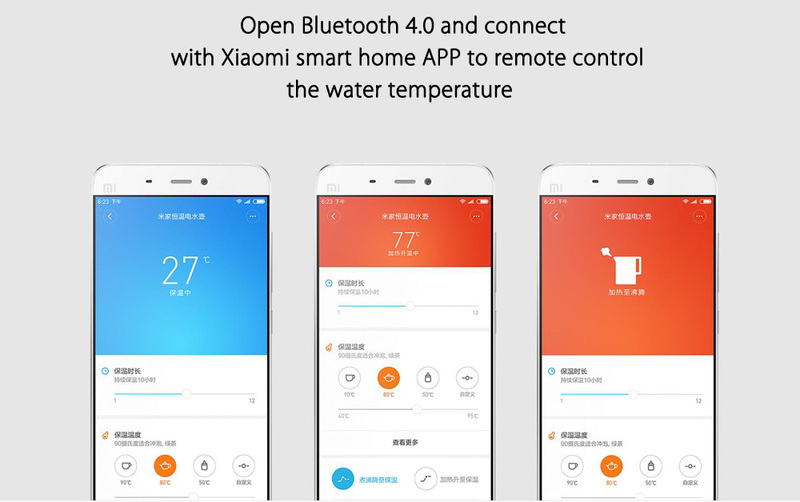 Also, Xioami kettle is fitted with a well-shaped neck, to streamline the water flow, so as no hot water is splashed around in all directions. On the whole, Xiaomi Mi 1.5L Electric Water Kettle is an advanced device that proves a good helper at heating up water fast and safely and gives access to convenient functions like remote temperature control, heat insulation, and triple electricity hazards protection. How to Choose The Best Mosquito Nets for Your Bed?